Classic horror comic aimed at girls to be resurrected by Rebellion Publishing. A classic horror comic from the 1970s that was aimed at young girls is to see the light of day once again thanks to 2000 AD publisher Rebellion. Rebellion, with the cooperation of rights-holders Egmont, is to reprint Misty content from creators who are also well known for their 2000 AD work, beginning with 2000 AD’s first editor, Pat Mills. The first volume of Misty material, featuring “Moonchild” by Pat Mills and John Armstrong and “The Four Faces of Eve” by Malcolm Shaw and Brian Delaney, will be published in September 2016. 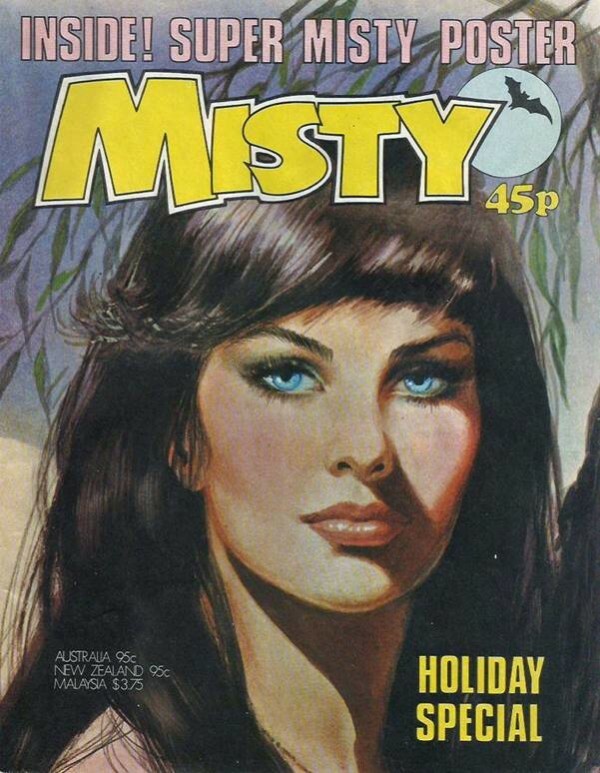 First published in February 1978 and intended as ‘2000 AD for girls’, Misty was a weekly anthology horror comic that featured such as “The Sentinels” which saw the years 1978 and 1940 linked via two empty tower blocks, and “Moonchild” about a girl with telekinetic powers. Over 101 issues between 4th February 1978 and 12th January 1980, Misty’s darker tone, strong visuals, and more sophisticated stories with an emphasis on the supernatural and horror went down a storm with its readers. Fans of Misty have been campaigning for a number of years for the classic strips to be reprinted.